For over 37 years, ImprovBoston has been New England's leading theater and school dedicated to the art of comedy in all its forms. Voted "Best of Boston" by The Phoenix, The Improper Bostonian, and The Weekly Dig, ImprovBoston performers, teachers and students have included film stars, Emmy Award-winning comedians, and acclaimed producers, directors, musicians and writers. ImprovBoston alumni are featured on The Daily Show, America's Got Talent, Funniest Wins, Real Time with Bill Maher, Last Comic Standing and John Oliver's Last Week Tonight, to name a few. In 2014, the Independent Reviewers of New England honored ImprovBoston with an award recognizing its longstanding contributions to the Boston theater community. As a nonprofit arts organization, ImprovBoston serves the community through laughter with youth outreach programs, workshops for businesses, scholarships, a national touring company and, of course, performances at its theater complex in Central Square, Cambridge. An awesome date night! Lots of laughs and even better than we expected. We've seen lots of improv and this was definitely some of the best. Great atmosphere and great actors! A fun show. The actors were excellent and the staff was friendly. Great fun! The performers were great and handled a very tough situation well! Thanks a lot. The show was great! I think this is such a good idea to get people to try things they might otherwise not know about! Great venue, great date spot...very talented performers!!! Really great show and hilarious cast! Interested in taking a class! It was a great show! Full of laughs and definitely would return! ImprovBoston was fantastic. They were easy to get in contact with and the show was great. Ticket prices are the best for Improv in the area of Boston. I tried to redeem the Nift, but there were no shows available for the offer listed. Really fun time. Especially loved the music theme of the show, never seen that before. The show was great, with hilarious performers. Will definitely return! Nift was easy to use and allowed me and a friend to watch a highly underrated comedy show for free at ImprovBoston! We both thoroughly enjoyed the show and would go back again. 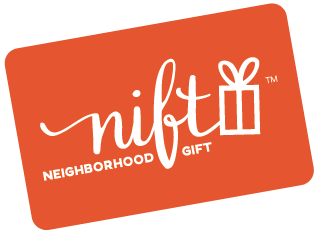 Nift is a great way to support local businesses and expose Boston explorers to otherwise unknown adventures! Great show! It was super funny and everyone who worked there was very nice. We had a great time! It was easy to get tickets, drinks were reasonably priced, and we laughed the whole time. One of the best Nifts I've done, laughed a ton and they had cheap beer! It was a lot of fun and the beer was cheap! It was a good Week night event. Amazing show!! Highly recommend - 5. (the menu won’t allow me to add score). Very fun show and cool venue. The show was incredibly funny. This was my first time going to ImprovBoston and I look forward to going again. It was hilarious! I truly enjoyed the show. Very funny performance at improvBoston! This was an awesome nift! The performance was great and a lot of fun- everyone is very talented and it was an extremely lighthearted night. Would recommend! This was a great gift -- I had never heard of Improv Boston, but now that I know about it and was able to experience a show, I will definitely be going back and bringing friends/family with me! It was good! The group was funny, and I enjoyed the evening. The actors were extremely talented. We had a great time! The show was AMAZING and hilarious and just so great. Highly recommended!! I was a little nervous taking my 12 year old son, but he loved it. True, you never know what you're going to get, but I felt like they really tried to keep it classy. The actors were so talented and really engaged the audience. Friendly counter staff, no seat was bad. The only thing is that the lobby is pretty small, so it's crowded before the show. Loved it! Would definitely recommend to a friend. Also really appreciate that they let me use the nift for a special valentines show. It was great! Thoroughly enjoyed the show. Was laughing the whole time and drinks were reasonably priced! Great night our filled with laughs!! I loved this show, could not stop laughing even after the show. Guys are great! The show was a blast! Not quite as polished as others that I have seen but it was still full of good natured humor and the cast and crew were very entertaining. I had a great time at ImprovBoston and hope to come back for more shows! The Improv Boston Main stage show is great! They really play off the audience well and it creates a unique experience. I really enjoyed this Nift experience seeing Improv Boston. I invited a friend I hadn't seen in a while and it was a fun night of comedy and catching up. Haven't actually gone yet (will be going Thursday) but have heard great things and look forward to going with my friend. ImprovBoston was a lot of fun! The setting was silly & intimate. They had a pianist improvising as well, which was hilarious. Very talented comedians! Loved it - I'll definltey be back soon! Awesome show, lots of fun. The show was fantastic! My face hurt from laughing so much. Haven't seen the show yet as they just booked our tickets now, but the service is excellent and the variety of shows on the website is awesome! I had an AMAZING time - took a guy here on a first date, and I can't wait to go back! Great show!!! Loved the nift! Had a great time! Really fun outing. It was great receiving this gift and I really appreciated that I was able to extend the expiration date. Very funny, Had an awesome time. Entertainment Entertainment and pure Entertainment !! Hilarious show and very easy to book! The improve Boston show was awesom - great energy and really funny. I also didn't know their was an improve Boston until I used Nift. Loved the comedy show. Will be back with friends for more shows! I had a great night at Improv Boston! The process for getting the tickets was very easy! Had some difficulty redeeming my gift, because I didn't see on the voucher that I had to email the venue first - the print was so small! But customer service was wonderful and responded immediately, so it wasn't a problem at all. I didn't understand how to redeem at first, so I clicked the wrong button on Nift's reminder email. After I emailed Nift, I got a response within a few hours with detail instructions. When I emailed the vendor - ImproveBoston, they also responded and confirmed within a few hours. I am very pleased! I spent an incredible night. The team of ImprovBoston is so fun, incredibly funny and dynamic. I will come back very soon. I've had a lot of fun exploring local businesses in the area. Thanks so much for making this a thing. I've found new eats and new entertainment places. So fun! This was a great time. Thank you! The show was extremely funny, I would definitely go back.